On the 17th floor of the Atwood Building in Anchorage, Walker introduced Retired US Army Col. Laurie Hummel and Retired US Air Force Col. Bob Doehl. At a press conference in downtown Anchorage, Governor Bill Walker introduced the new Adjutant General for the Alaska National Guard. Retired Colonel Laurie Hummel served in Army intelligence for 30 years after graduating from West Point, and is the first woman to lead the Guard. In her time with the Armed Forces, Hummel said, she has seen “walls come down” as equality and opportunity extend further into the military’s diverse ranks. She plans to ensure the Guard follows the same course. Hummel’s hire comes after accusations of misconduct within the Alaska Army National Guard led to dismissals and investigations under Governor Sean Parnell’s administration. Hummel and her staff will begin reviewing Guard policies and procedures to prevent sexual assault, harassment, favoritism, and other improprieties documented in a report by the Office of Complex Investigations. A group of bills filed this session by Democratic legislators aim to modify protocols for reporting offenses within the guard and update the uniform code of military justice. 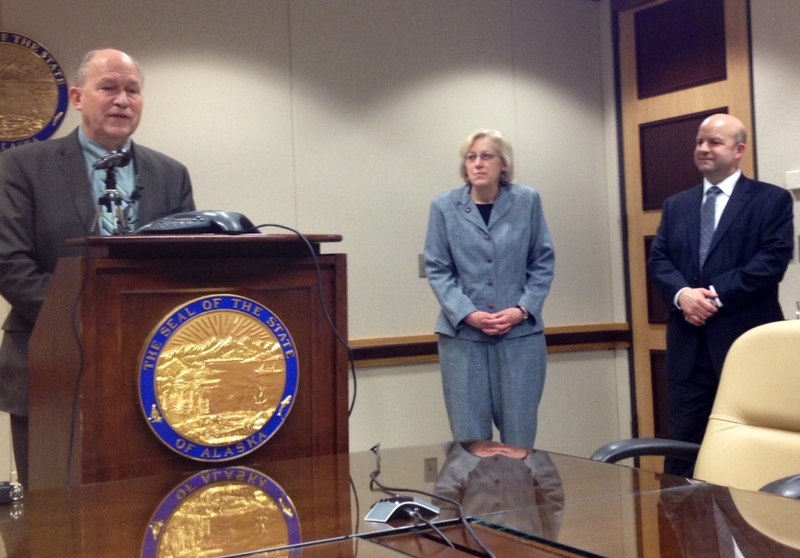 Governor Walker’s office will help that effort as a special investigator continues looking into years of allegations. Hummel also assumes the role as Commissioner of the Department of Military and Veterans Affairs. Her deputy will be retired Air Force Colonel Bob Doehl, who left the Air National Guard in 2012, and earlier worked as an attorney within the Department of Law. In November Hummel ran an unsuccessful campaign for the Northeast Anchorage seat in the state house.